​ CORPUS CHRISTI – Texas crude oil is being shipped worldwide at ever-higher rates as foreign markets get used to the taste of light sweet crude. 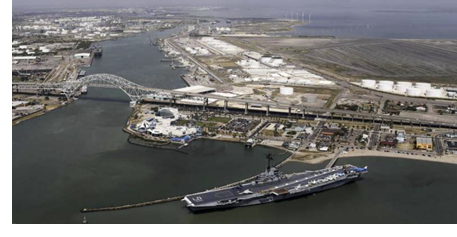 More than 70 percent of the crude oil moved into Port Corpus Christi in October 2017 was exported, according the Jarl Pedersen, the Port’s chief commercial officer. Since Congress lifted a 40-year oil export ban in 2015, exports have grown as high as 1.8 million barrels a day in October 2017, according to the Federal Reserve Bank of Dallas. an agreement to start a $327 million dredging project to deepen and widen the ship channel was recently signed. The projects will allow very large crude carriers with a capacity of upward of 2 million barrels of oil to enter the port empty and leave fully laden.